White Wave Motion Roller Towel Wave n Dry System, 2ply 144m x 236cm Roller Towel 6 Rolls per case. T Roll a Matic Roller Towel, Suitable for Matic Towel Dispenser. 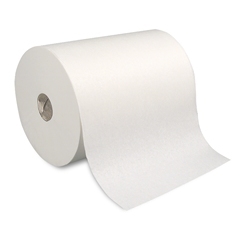 2ply White Roller Hand Towels.